The European Marine Energy Centre (EMEC) is to lead a €31m project to test a full-scale floating wind turbine off the west coast of Ireland. The floating turbine technology for the project will be supplied by Italian firm Saipem. The so-called AFLOWT project (Accelerating market uptake of Floating Offshore Wind Technology) will see a floating wind turbine installed at the Atlantic Marine Energy Test Site (AMETS), a facility off the west coast of Ireland that is operated by the Sustainable Energy Authority of Ireland (SEAI). The four-year project is being funded through the European Commission’s Interreg North West Europe programme which has been set up to boost innovation in North-West Europe. By testing at AMETS, the technology developed in AFLOWT will be proven in the harshest of North West Europe’s offshore environments, readying it for application at any deep-water offshore environment across the world. Other partners in the project include Dutch firm MARIN, which will be involved in the design of the mooring system and the monitoring of the prototype and Fraunhofer IWES, which will investigate the long-term impact of the deployment of floating offshore wind for the North-West Europe renewable energy targets. Fraunhofer IWES will lead on the development of an advanced turbine control system. 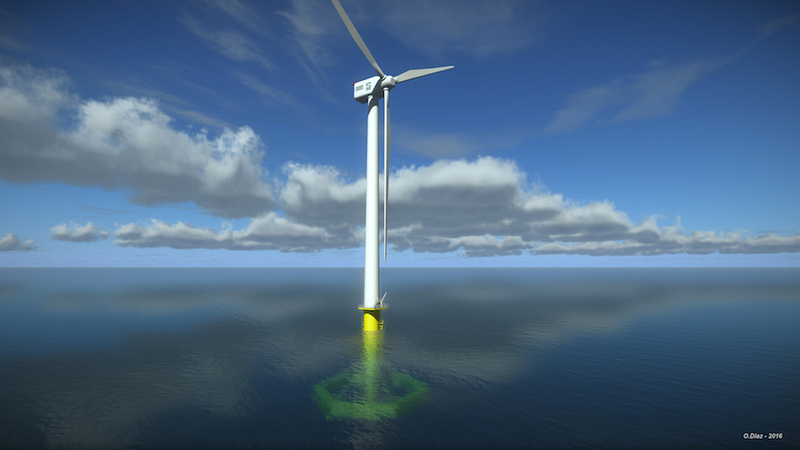 As previously reported by The Engineer, floating wind turbine technology is a major area of development for the offshore renewables sector as it enables turbines to operate further out to sea where the wind resource is more plentiful. Last year (October 2018) the world’s first floating wind farm, the 30MW Hywind Scotland project off the coast of Aberdeen started to deliver electricity to the Scottish grid. At the end of the article you mention the 30 MWe Hywind floating power system, commissioned last year. Was that was successful? If so, why is this big developmental project being set-up? How many MWe is planned for the €31m? West coat of Ireland is considerably more severe than East coast of Scotland.